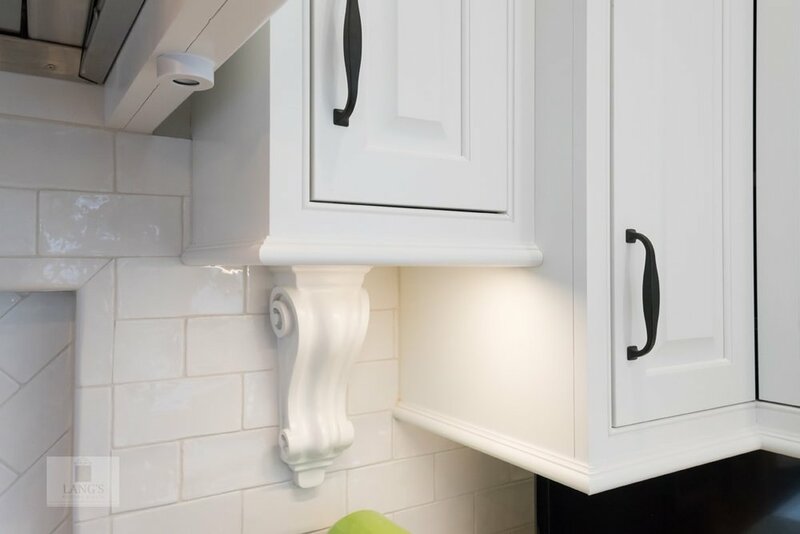 The painted white DuraSupreme kitchen cabinets create a bright backdrop for this traditional style kitchen design, accessorized with Top Knobs black finish hardware. 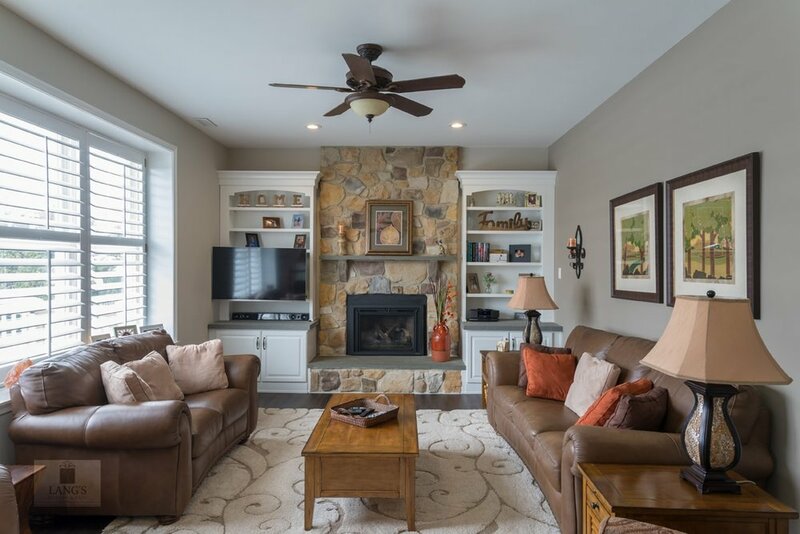 This is beautifully highlighted by natural light through the Anderson windows, along with Uttermost pendant lights and Hafele undercabinet and in cabinet lighting. 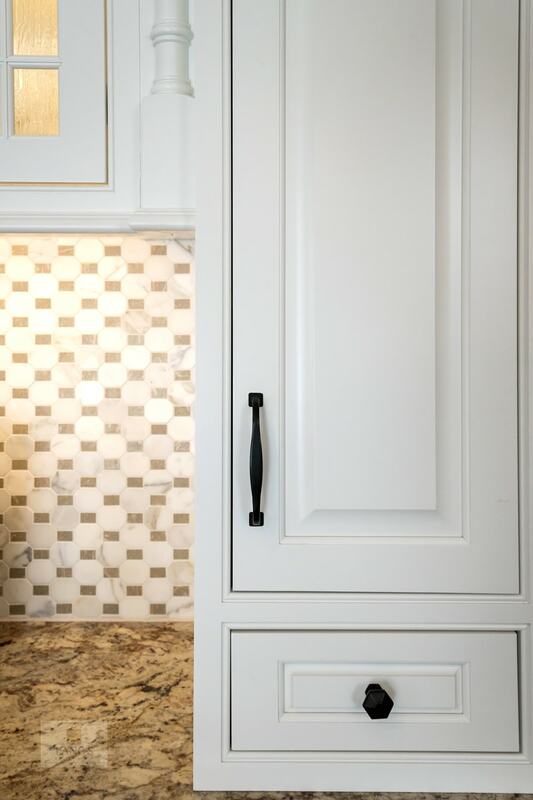 The stained island cabinetry and Apollo luxury vinyl flooring offer a warm contrast to the white perimeter cabinets. A Kohler white haven farmhouse sink fits in perfectly with this design, along with a Sigma faucet and Mountain Air switch. 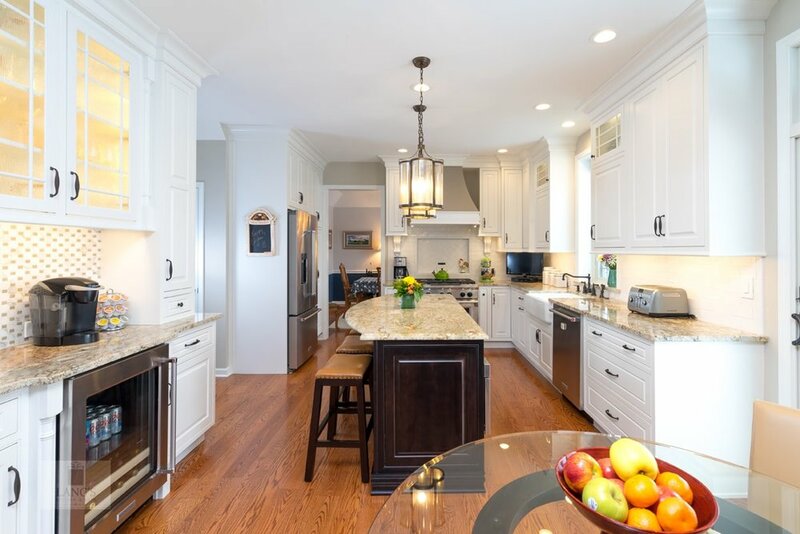 The design also includes a bar area with an undercounter beverage refrigerator and eye-catching Walker Zanger tile feature, plus Kitchenaid appliances and a Sharp microwave drawer. 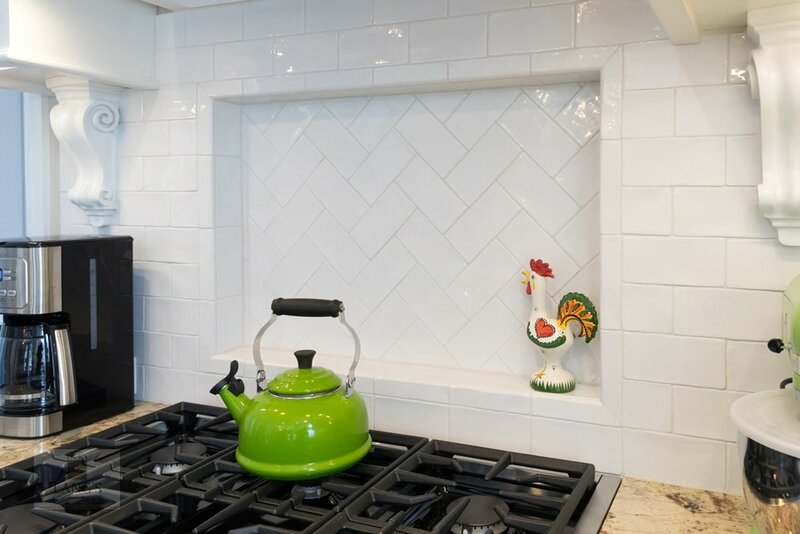 Granite countertops, a custom dry-walled and painted Jay Rambo hood, Task Lighting powerstrips, and handmade white subway tile are among the features that set this kitchen apart.